Carrasco International Airport, Montevideo, Uruguay. 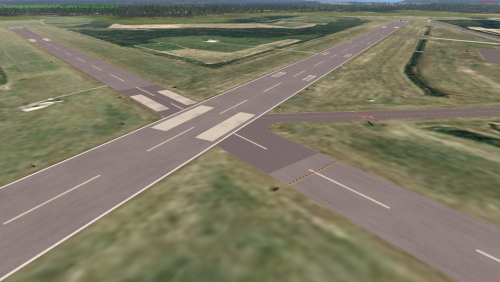 With GroundTraffic animations and Marginal's Autogate. Libraries suggested - not required. In collaboration with renowned freeware FSX developer EdGeneer Cox, I proudly present KGFL for X-Plane 11. Floyd Bennet Memorial Airport is located in the Southern Adirondack region in the city of Glens Falls NY. This airport has an annual ballon festival, and is a gateway for the many VIPs traveling to see the Travers States in Saratoga Springs, as well as the tourist area of Lake George and the Adirondack Mountains. The airport was once a hub for the now defunct airline Mohawk Airlines back in the day, and is now mainly served as a business airport for the region. - ZL17 Orthophotos from USGS. Ortho4XP is highly recommended. - More objects from MisterX Library and OpenSceneryX. To add on a personal note: After contributing plenty of FSX conversion advice in the forums over at the "ORG", as well as a bunch of other useless posts, it's about time I give back to the community and share this wonderful scenery created by EdGeneer Cox for FSX, and brought to you by me to X-Plane 11. Please report ANY bugs that you have found in the scenery, and I will be glad to address them in a future update. this is the half moon bay airport in California. this is near san francisco international airport in northern California. half moon bay is a very beautiful area that is well known for seafood and sailing, hope you enjoy landing right over fishing boats and sailboats! this includes detailed scenery of a small remote airport and half moon bay the town which i worked hard on. this is one of my first works for x-plane. sorry wrong picture it actually looks good i just cant upload any good pictures because it says the file size is too big. I've been working on this on and off for ages and I thought that I may as well share it. This is a relatively small airbase in the Eifel in Germany, in between Koblenz and Spangdahlem. It is home to the Taktisches Luftwaffengeschwader (TaktLwG) 33, operating the Panavia Tornado, and the USAF 702 Munitions Support Squadron. Since 2007 this base is the only German base hosting nuclear weapons (B61). 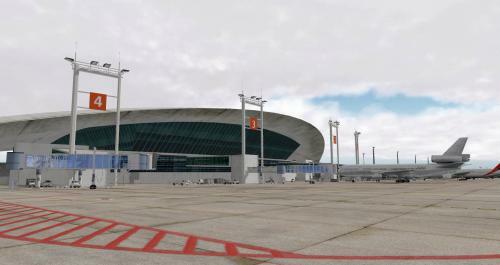 This scenery is partly a conversion of my own MSFS version, however it was expanded and edited big time for x-plane 10. Required libraries: Flags of the World, RuScenery, OpenSceneryX, Handy Objects Library, 3D People Library, RE Library, RD Library, BS2001. If you do not have these libraries installed, or if they have not been updated in a while, take a look here (click). The Cooper Airport Rotating Beacon by org user MKiii is included in this package. Version 1.0 is for XPLane 11. Version 1.0_10 is for XP10. Bariloche airport, simple, small and very chic. The file SBBE_1.0 is actually for X-Plane 11 - there's no 11 to choose in this form. The file SBBE_1.0_10 is the XP10 version (the only difference is there is no Ground Services). Belém/Val de Cans–Júlio Cezar Ribeiro International Airport (IATA: BEL, ICAO: SBBE) is the main airport serving Belém, Brazil. Val de Cans (sometimes spelled Val de Cães) is the name of the neighborhood where the airport is located. Since 13 April 2010 the airport is named also after Júlio Cezar Ribeiro de Souza (1837–1887) a researcher of balloons. It is operated by Infraero. Some of its facilities are shared with Belém Air Force Base of the Brazilian Air Force. Libraries required - none, theoretically. I used only the default lib (fence.fac) and Marginal's autogate. The rest is custom made. This scenery will work with X-Plane 11 (and most probably with X-Plane10 – although not tested). Place TNCS_Saba_uwespeed from the downloaded zip file into the Custom Scenery folder of your X-Plane installation. 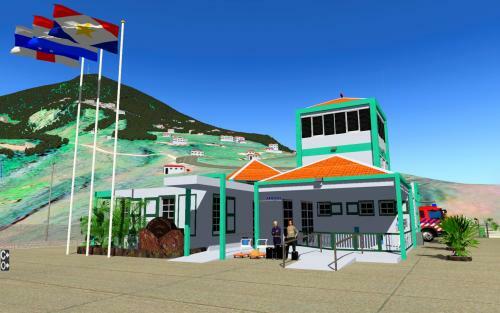 IMPORTANT: If you have already installed the scenery St Barth - Saba - St Eustache by XPFR (http://www.xpfr.org/?body=scene_accueil&sc=314), which I highly recommend, due to the included orthophotos and mesh, you must place my scenery above it. As written above, there is already TNCS available by XPFR – so what‘s the reason to install my version? Well … that‘s easy ;-): my version contains the whole island, not only the airport and has some more nice animations at the airport (passengers entering and leaving the static Twin Otter and a girl walking around the parking lot with her dog). For some more information read the included readme file. Hachijōjima Airport serves the island of Hachijōjima, administratively a part of Tokyo despite being located 287 km south of the metropolitan area. Hachijōjima is a popular tourist destination and gets daily flights from Tokyo Haneda. Toho Airlines operates helicopter flights between Hachijōjima, Tokyo, and other islands in the area. The package includes Andreas Wieberneit’s Weathered Edges enhancement on the shoulders of the pavement. I availed myself of Jonathan "Marginal" Harris's indispensable tools for exporting objects for use in X-Plane, and would have never made anything were it not for his helpful tutorials. Barbarossa's Reload_Scenery plugin made it possible to see the results of object placement and modifications without having to restart X-Plane or changing locations in the sim. The screenshots show some add-ons to the stock X-Plane 10 product. 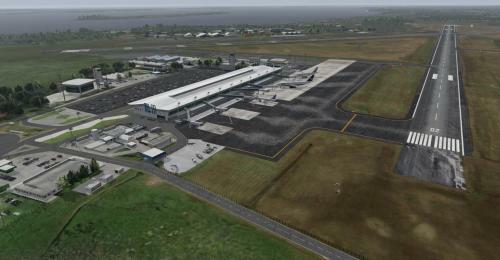 The darker and more detailed pavements are thanks to FlyJSim’s free Enhanced Runways HD files. The surrounding landscape scenery is augmented with John Spahn’s UrbanMAXX. 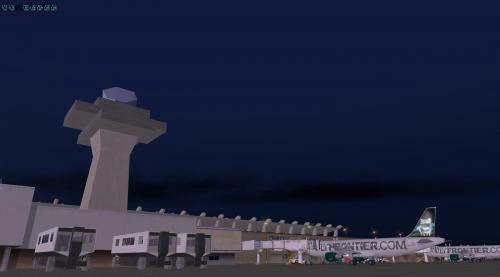 X-Plane user ScottP posted conversions of many many airports all over Japan a few years back. I recommend these files to anyone who wants to populate Japan and fly around a bit. Update, August 2014: Adjusted scenery for use with Andras Fabian's highly recommended HD Mesh Scenery V2, which delivers more accurate elevation data, roads, buildings, etc. for Japan. Also added local bus service into town. The scenery is now complete.The scenery is not the best.The main thing is you can fly in OPPS now. Libraries:MisterX Libary, Lib/airport, CDB-Libary, Re_Libary,BS2001_Objects, 3D_people_libary, handyobkects, Fruitstand_aircraft and Vehicle Libary. Unzip the file and put it in the custom scenery. 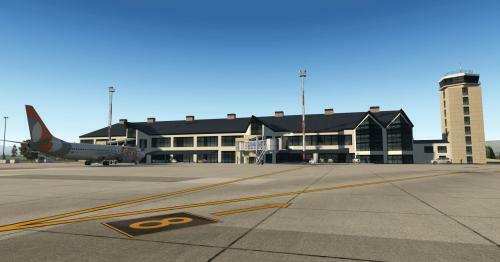 New version of FVH-Airport Scenery for YBWW - Brisbane West Wellcamp Airport. This version includes the Wellcamp Business Park which YBWW is the anchor. There has been extensive modifications including, detailed road network, new hangars, offices, shopping centres, restaurants, service station, billboard signs, water features, lighting and many more enhancements. YBWW is now conducting weekly international cargo flights with Cathay Pacific Cargo, a first for a Australian regional airport and on the 23 October 2016 there was a international passenger flight from Wellcamp to shanghai, china, another first for a Australian regional airport. The business park part of Wellcamp is still in it’s infancy and rapidly growing, many of the features in this release are pure imagination, and my impression of what may come to YBBW. There are plans for a “Wet Lands Area” and also rumours of a V8 Supercar Race Track, which will no doubt be welcomed by V8 Supercar enthusiasts. Many thanks to Frank Van Hal (FVH-Airport sceneries) for his help and encouragement in many areas during this build. The following libraries are required, make sure to update to the latest version of libraries. Updated YBWW scenery. Fixed the issues with the runway and buildings sticking up in the air in X-Plane 11. This update is now compatible for X-Plane 11. Download this new package and replace the existing scenery. KCGX is now available for v9 and v10. Merrill C. Meigs Field Airport (IATA: CGX, ICAO: KCGX) was a single strip airport that operated from December 1948 until March 2003. It was built on Northerly Island, the man-made peninsula that was also the site of the 1933–1934 Century of Progress in Chicago. The airport achieved international notoriety when Chicago Mayor Richard M. Daley ordered city crews to bulldoze the runway at night, and without the 30-day advance warning required by FAA regulations. - Highly detailed airport buildings. not covered by the license is prohibited. > Fixed runway disappearing for v10, and some other adjustments to the scenery. of Portorož, and less than 300 m (980 ft) from the Croatian border. sport, tourist and business flights. Welcome to the busiest airport in the mid-atlantic, outside the New York area! Because this is my local, major airport, I found the need for a detailed scenery package for this airport. I believe I have pulled that off! The iconic main terminal and classic control tower, designed by Eero Saarinen, are well-represented in this package, I custom-made the models using SketchUp Make and a lot of patience. Another Dulles Airport Landmark is the National Air and Space Museum at the Udvar-Hazy Center, again, this building was custom built using SketchUp Make, and even more patience. I used Overlay Editor heavily in the creation of this package, along with World Editor (To work on the detailed parts; ATC, Ramp Starts, etc.). I made a real effort to keep this package conservative in its detail, to save frame rate, and it seems to have really improved the overall experience–for me, at least–over version 2. I hope you enjoy all of the many hours of agony and hard work I went through to provide this beautiful creation! Always check the Readme.rtf file before installing. Simply Copy and Paste (After Unzipping) "Dulles IAD vX.X" into your X-Plane 10/Custom Scenery folder. Be sure all of the required libraries are installed, or else you'll get an error message saying "The scenery may not look correct!" This is detailed scenery for Dallas Love Field KDAL. Dallas Love Field (IATA: DAL, ICAO: KDAL) is a city-owned public airport 6 miles (10 km) northwest of downtown Dallas, Texas. It was Dallas' main airport until 1974 when Dallas/Fort Worth International Airport (DFW) opened. The corporate headquarters for Southwest Airlines is located at Love Field. The airport is also a focus city for Southwest as well as for Virgin America and Delta Airlines. Seven full service fixed base operators (FBOs) provide general aviation service: fuel, maintenance, hangar rentals, and charters. A special thanks to Tom aka tsw66. He should be considered a coauthor and deserves a ton of credit for helping me complete this project. Also as always thanks to Justin aka MisterX. X-plane is a better place due to his work. Please read included readme file. Please, rate and/or comment it. Thanks so much. The scenery needs checked "Runways follow terrain contours" option and HDR activated for a correct ilumination. - Flags of the world (link broken). - 3D people library (link broken). - OpenSceneryX ( http://www.opensceneryx.com/ ). - Autogate ( http://marginal.org.uk/x-planescenery/plugins.html ). 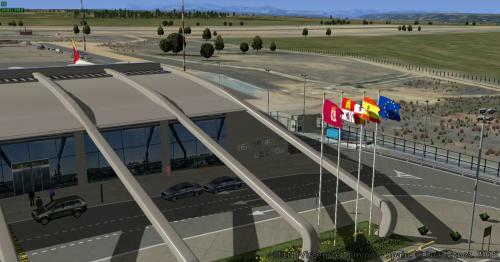 - C101 from freeware LESA - Matacan - Salamanca Airport by JRollon. general, for their tests and support. (c) Luis Mtnez. 2016 - Freeware. Forbiden their sale or rent. (c) Plus Ultra Virtual Airlines Virtual ( http://www.plusultrava.es/ ). (c) Pilotos Virtuales España ( http://www.pilotosvirtuales.es/ ). If changes are made on scenery, please, report. El escenario necesita la opción "Pistas siguen contornos del terreno" y HDR activado para una correcta iluminación. - Flags of the world (enlace roto). - 3D people library (enlace roto). - C101 del aeropuerto gratuito LESA - Matacan - Salamanca de JRollon. los PUE, en general, por sus tests y apoyo. (c) Luis Mtnez. 2016 - Freeware. Prohibida su venta o alquiler. Si se hacen modificaciones en el escenario, por favor, comuníquelo. Tom W. and Chris G.
Thomas W, is without a doubt the person who made this airport what it is now. His 3d work is outstanding. Thanks again Tom!! Justin aka MisterX, without his dedication to this hobby this project would have taken twice the time it did to complete. Also thanks for answering all of my dumb questions. AutoGate, GT and FS2Xplane by marginal. WED and X-Plane 10 by Laminar Research. John Shaddox for allowing me to include his converted downtown Houston. Hobby is still in the process of its modernization program. This scenery is up to date and accurate as of March 2016.
and drop the folder inside the .zip file to the scenery's folder , and agree to replace the existing folder. 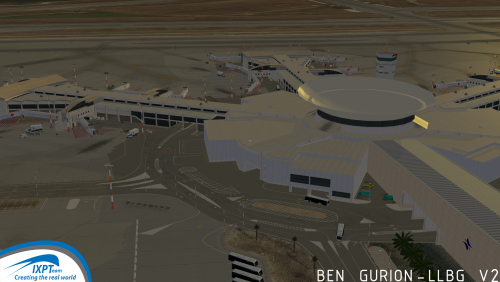 Ben Gurion V2* by IXPT is the most accurate and detailed rendition of the real thing. - Accurate and updated layout ; in real life the airport is changing , we will continue to update it of course! - Please remove any scenery for this airport. - If you are using it with Real Land Israel , apply the previous step , so "IXPT Ben Gurion LLBG" is higher than Real Land Israel folders. This airport is highly detailed , so expect it'll affect your FPS , however it mostly depends on your computer and Xplane's settings. Terminal 1 building is not textured yet , we will get to it in a future update. - MisterX6 , for some of the objects in this scenery. Texel International Airport is a small grass airport on the island of Texel (Tessel) in the Netherlands. Although the airport itself isn't particularly big, runway 04/22 is allegedly one of the largest grass runways in western Europe (1115x40m). Usually the airfield permits only aircraft of to 6000kg MTOW, however with special permission (depending on weather conditions) heavier aircraft can land here. Some special visitors with an MTOW obviously larger than 6 tonnes are a Fokker 60 Utility (23t kg) and touch & go's from Fokker 100 aircraft fresh from the Fokker plant (44,5t kg). Fokkers were a regular sight at this fun airport. Stadskanaal is a small airstrip in the rural region of Stadskanaal, northeastern Netherlands. This field, with its very short runway, is open to Ultra Light General Aviation (experimentals). The field posesses quite a few hangars and a modern looking restaurant/station building with 'tower' on top. A tiny campsite is even available for your overnight stay or fly-in. Make sure you make yourself aware of the airfield and circuit procedures as the tight circuit makes it a challenge to approach the grass strip. This airfield is 12NM south of Oostwold Airport and 8,5NM southeast of glider field Veendam. Oostwold Oldambt airport is a relatively small airfield in the northeastern corner of the Netherlands. This field was a private agricultural airfield for many years. More recently the airfield became public, welcoming visitors. The runway is long and wide, with grass/concrete slabs in the first two thirds of runway 25. Once every two years Oostwold is home to an airshow, hosting many vintage and modern visitors. An airport mainly occupied by general aviation company Tom van der Meulen, operating C172s (PH-LFB, LFA, KAD, JBB, TOL), C182 (PH-JSA), C206 (PH-TOO), Piper Cubs (PH-TOM & PH-TOP, many more in storage), Boeing Stearman (N60839), Harvard (PH-KLU), and the P-51D Mustang "D*mn Yankee" (PH-PSI). Charts & Procedures can be found on the airport's official website or at AIS Netherlands. This is my first attempt at creating an airport scenery pack. I choose KPVD for several reasons, but above all for its size and sophistication. I felt a small “full size” airport would be interesting to create, and not too overwhelming to complete in a reasonable time (took about 5 weeks). While it’s not my home airport (KPHL), I have flown into it several times as a passenger, and have always loved its ease of use and it’s proximity to Boston, MA. Being my first airport, I had much to learn, and thanks to the posts of others on the various forums (X-pilot, AvSIM and the .org) and Ben’s work on the x-plane development blog, I was able to absorb an astounding amount of info about X-plane development, so thanks to you all! Also very special thank you to Marginal, whose excellent tools I have relied on so heavily to complete this project. I’ve done my best to optimize the scenery, but it is very detailed and contains many custom objects, you will need a decent computer to run it well. This scenery come as two packs. 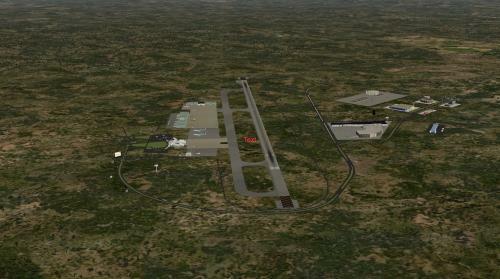 The first is required and contains the airport and buildings. An optional but highly recommended package contains the photo real underlay. These .15m orthophotos are very high res 4k tiles and there are about 12 of them, so you will likely need little more than 1gig of VRAM, but if you have got the system, they look great. I have done some editing so that the change to x-plane default scenery is not so abrupt. Also note, that this project was built for X-Plane 10.25, and relies on HDR for night lighting. I am certainly open to feedback, and I expect some bugs but hopefully not many. I hope you enjoy using it as much as I did making it. Please see the PDF for additional information. This is Jamestown Municipal Airport 2A1. Located in the quiet town of Jamestown, Tennessee, this airport is known for it's scenic location and southern hospitality. Situated on the Cumberland Plateau, this airport is prone to fog, strong crosswinds and fast changing weather conditions. This is one of the first airports that I've modeled and my first upload. For X-Plane 10 only! Read the README.txt For LIT fixes! Commercial use of these files is prohibited. No redistribution without my approval. This is Crossville Memorial Whitson Field, Crossville, Tennessee. I currently take flight lessons at this airport and have modeled it as closely as I can to the real thing. It is a popular airport nearby several retirement communities. It is situated on the Cumberland Plateau 25 miles south of my previously uploaded 2A1 Jamestown Municipal Airport ( http://forums.x-plan...&showfile=16904 ). Perfect for your corporate or GA ops due to it's central location. You may need to adjust the ILS approach in the local map as the runway has been moved to the correct location. There is no way for me to permanently fix this. Still more scenery to come! The runway is large enough to accommodate even the largest business jets and the location makes it great for flight training due to rather flat terrain with the exception of the Cumberland Plateau to the east. 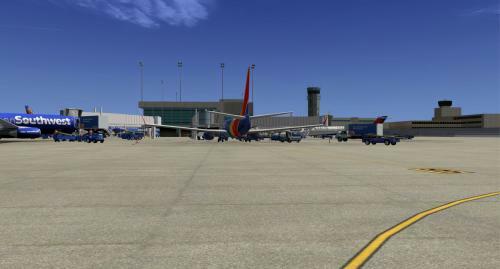 This scenery requires OpenSceneryX and is for X-Plane 10 only! You will have to add your own ILS/GS as per Airnav.com data since there is not one in X-Plane by default. This can be easily done in the local map. No commercial use or redistribution without my approval. More scenery on the way! PM me with any problems with the scenery, comments, or suggestions for other airports.